Kiri season 2 release is not confirmed yet. It is a famous thriller series which involves a murder of a young black girl who was supposed to be adopted by her white foster family. The first season of Kiri aired in January 2018 on Channel 4. Let’s see if there will be another season? So, here is everything you need to know. The ending of critically acclaimed drama series Kiri left the fans desperately asking for a continuation sequel. It ended on January 31 with the death of Akindele with several suspects in the frame. It was concluded by sending Kiri’s biological father (Paapa Essiedu) to prison for a crime he didn’t commit. Will there be Kiri season 2? 1 Will there be Kiri season 2? 2 Kiri Season 2 Cast: Who Will Star? 3 How to watch Kiri season 2 online? In a recent interview, the Channel 4 spokesperson exclusively said that there won’t be a new season of Kiri. The same person stated: “As with National Treasure, Kiri is a standalone story.” Jack Throne (the writer of 2016 BAFTA nominated National Treasure) has written Kiri. NT was a one-off story divided into four episodes. Likewise, it may wrap up in 4 episodes too. Jack Throne said that he did National Treasuer with the same group of people at The Forge. Toby Bentley (National Treasuer’s script editor & Kiri’s producer) and Throne, both worked on the idea of telling a similar story in the same universe and ideas, but not a sequel. Throne was inspired to pen down the series from the life of his mother. She had helped adults with learning difficulties and decision making due to vulnerable people. In his early days, Throne used to hear lots of stories from his mom at her work which intrigued him to write the series plot. Kiri Season 2 Cast: Who Will Star? It is difficult to make some certain claims at this moment. There is a possibility that the new season would feature the whole cast of the first installment including Sarah Lancashire (Miriam Grayson). Well, there may be some surprise elements, like actor Lucian Msamati would reprise his role as Kiri’s grandfather Tobi Akindele and Andi Osho as Grandmother Rochelle. On the other hand, Halcyon star Steven Mackintosh would return back as Kiri’s foster father Jim Warner and the crowns actress Lia Williams as Kiri’s foster mother Alice. 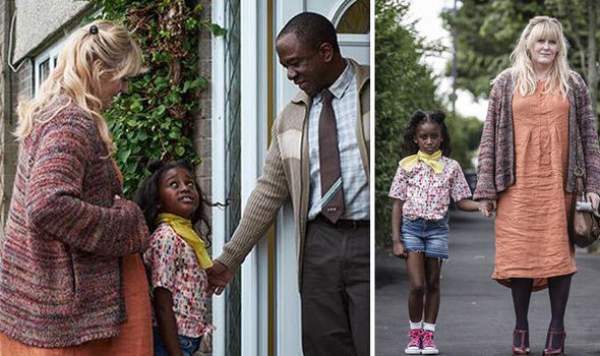 And finally, Paapa Essiedu would be seen as Kiri’s father Nate Akindele and potentially young star Felicia Mukasa would be returning back as the lead character. How to watch Kiri season 2 online? The audience can make use of All4, the video on demand service of Channel 4, to stream Kiri online. The cost of the channel 4’s video on demand is far cheaper than Amazon prime Netflix membership; therefore the viewers can easily get hold of this one. The series can also be watched in America as it is a joint commission between Channel 4 and Hulu which is a US-based streaming platform. Hulu came forward and collaborated with channel 4 after the grand success of National Treasure and therefore due to this collaboration, the series will be a part of Hulu’s original state. The episodes air on Channel 4. Stay tuned for Kiri season 2 release date and more news. Next articleNational Treasure 3 Release Date: Why the movie sequel has not made yet?